Club Penguin Cheats by Mimo777 Club Penguin Cheats by Mimo777: Webosaur's MUSIC VIDEO AWARDS and MIMO Party! 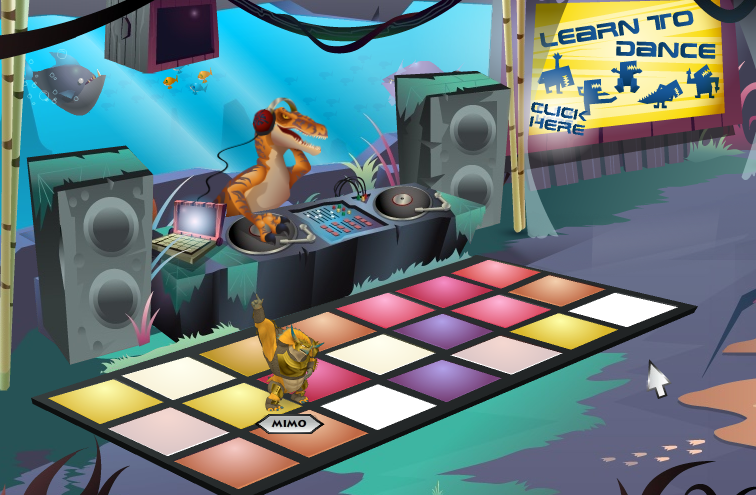 Webosaurs is hosting its first ever Music Video Awards. Its a two week long festival with crazy parties and awesome decorations. You will be able to throw your own concert at one of the many stages, or jam out on the piano (for realz) at the Sub Alpine Forest. You can win a sick Webosaurs MVA trophy by entering your own music video, filmed on Webosaurs Island. Or just send a link to your video on the Webosaurs Forum CLICK HERE. Also post your link in the comments so we can check them out! The festival will end on October 2nd at the MVA awards ceremony. You can get these actions at the Bluggin' Beach Bunker in Jungle Beach. The MVAs are so sick, and Fossil Magic is coming for dinos soon too. 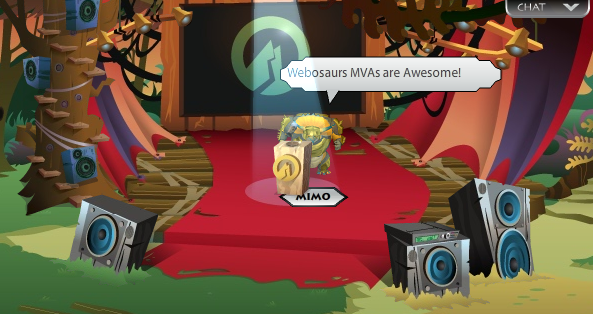 Wow, Webosaurs is really growing! I have always been really impressed with Webosaurs! Some of the action has already started! Go check it out now! Oh, and sorry I havn't posting a lot lately. =O Mimo party? CAN'T WAIT! =D I'll go make a webo account now. L8R MIMO! Cool!!! I am gonna make a webosaurs account now. I entered two videos. I hope at least one wins. Mimo, sorry I haven't posted in a while. I know this is off subject, but I found an update. On the Jet Pack Adventure Stamps title page, the green puffle has been added next to the green penguin. Check it out! Go Webosaurs! It HAS been growing hasn't it? Gotta love halo. I don't have a X box so I can't play Reach but when I get the chance I do.